A common mistake in marketing intellectual property (IP) is spending too much too soon on splashy materials with questionable impact. But just as detrimental to your long-term commercialization plan is being too modest when the technology warrants a bigger marketing effort. Knowing when to push and when to hold back requires looking at the market, understanding how the technology fits into it, and being realistic about the opportunities. Case in point: Fuentek’s client Kolon has recently enjoyed several successes for its colorless polyimide (CPI™) technology. Ten years in the making, CPI’s inclusion in top-of-the-line consumer electronics and notable award win now give it the clout of an industry game-changer. Fuentek helped Kolon navigate this path to major market uses and players by evaluating CPI’s progressive potential, offering intelligent communication options, and delivering on them expertly. While early-stage technologies benefit from cost-effective online technology listings (as we did for CPI in its early days), IP with major industry potential may call for a shift to a more significant web presence. Fuentek developed an award-winning microsite for Kolon CPI with a dynamic format appropriate to the product’s industry prominence. As your IP gains prominence, supplementing web and printed content with video is a wise investment. Fuentek produced (in less than a week) a powerful, 2-minute video for Kolon CPI, running it during the awards event and on large screens at SID 2018. The video drew attention from all the top mobile device manufacturers to Kolon’s booth. 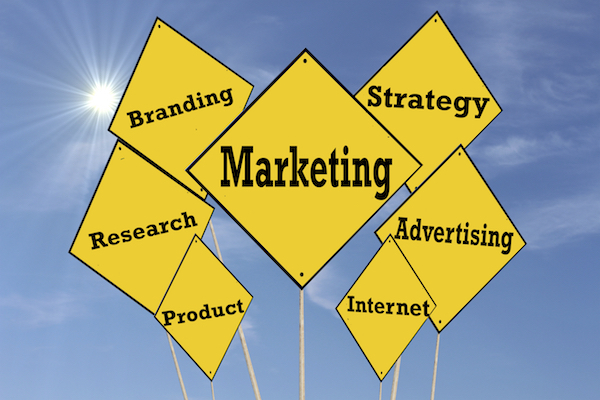 Tech marketing videos can also be used cost-effectively on the web and by creating additional shorter (15- to 20-second) clips ideal for brand reinforcement on social media and sharing among stakeholders and industry influencers. Increasing your presence at industry events with company leadership attendance and prominent marketing can be a smart investment at significant turning points in your commercialization process. During CPI’s early development years, Fuentek advised attendance at smaller, research-driven conferences to identify partners and put CPI on the radar of industry leaders. As the technology matured, it was important to shift from research-level events to market-ready product events with high-level decision makers present. As such, Fuentek has supported Kolon at SID Display Week for several years, increasing the company’s exposure as a major attendee. Consider these two booths that Fuentek prepared for Kolon. The one on the left is from the 2011 FlexTech conference, when we were seeking research-level partnerships. The one on the right was from Display Week 2018, now that Kolon has a production-ready product. Kolon’s sponsorship provided a prominent presence at Display Week 2018, as did the escalator wraps Fuentek designed. Fuentek’s clear and concise messaging about Kolon CPI made excellent tweet fodder during the conference. 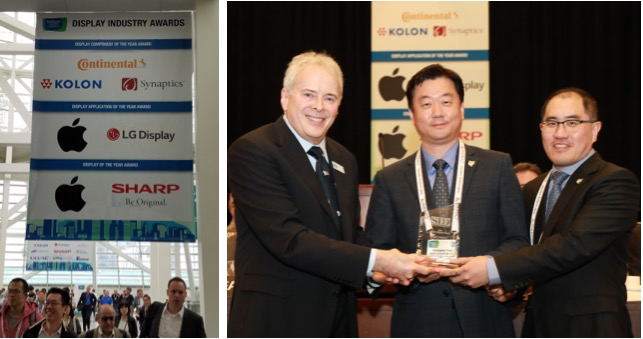 The successful win of a Display Industry Award provided numerous opportunities to enhance Kolon’s image and brand. We developed and implemented an online advertising campaign that helped conference attendees keep Kolon in mind, even when they were thinking about other things… like the weather. Contact us to learn more about how Fuentek can evaluate your IP’s market potential, work with you to develop the right marketing tools at the right time, and help market your technology to the best prospects. CPI is a trademark of Kolon Industries, Inc.